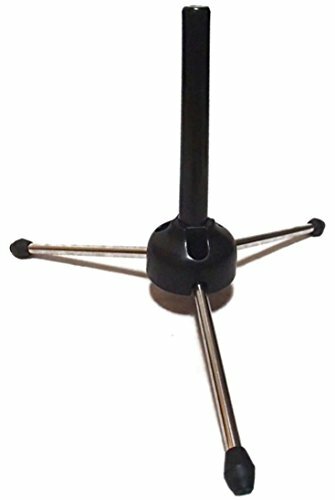 A Two Piece Set Which Includes a Folding Tripod Stand for Flutes, Clarinets, and Oboes, and a Cleaning Swab for Maintenance! Keeping your instrument set up on the stand allows you to easily play it any time you want! Being able to play any time is so convenient. Its extremely light weight makes it easy to carry and move around. The tripod's three legs are large, meaning it provides great stability. The set includes a special swab for wind instruments, meaning your much loved instrument will last a long time. The stand had a diameter of approx. 6 cm, a height of approx. 17 cm, and a weight of approx. 100 g.